An upscale aesthetic teams up with premium Jordan construction on the Boys' Preschool Jordan Horizon Basketball Shoes. Featuring a lightweight, flexible design, these style-savvy athletic sneakers are sure to become one of his fave pairs. Breathable and made for motion, these Jordans have a one-piece textile upper that locks in comfort and provides ventilation. Leather binding adds a premium vibe, while the flexible rubber cupsole supplies a comfy feel underfoot. Plus, the rubber sole with traction pattern keeps him steady as he plays. 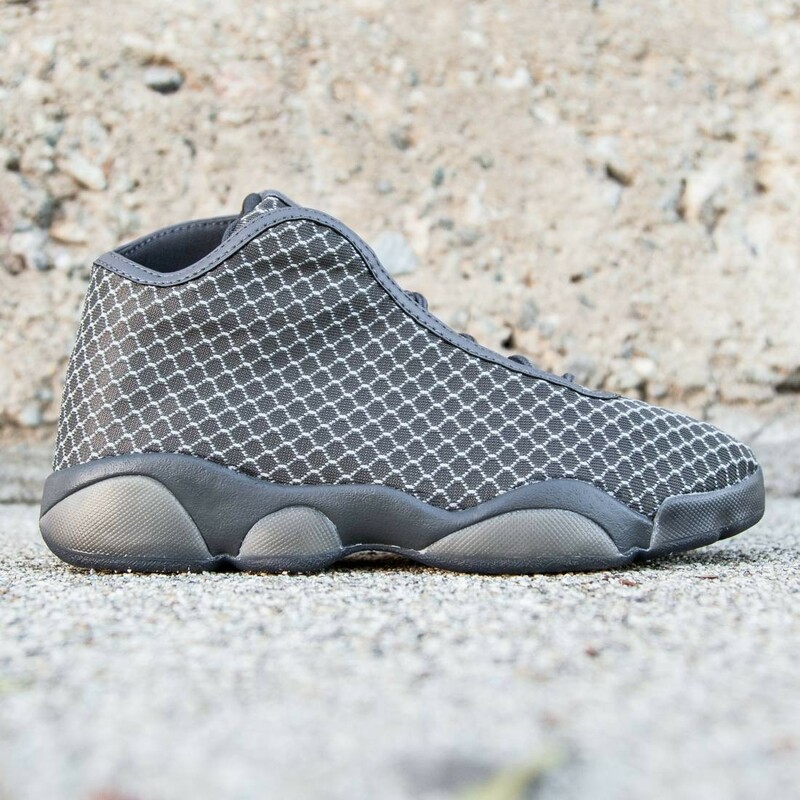 Style and comfort are on the horizon with the Boys' Preschool Jordan Horizon Basketball Shoes.